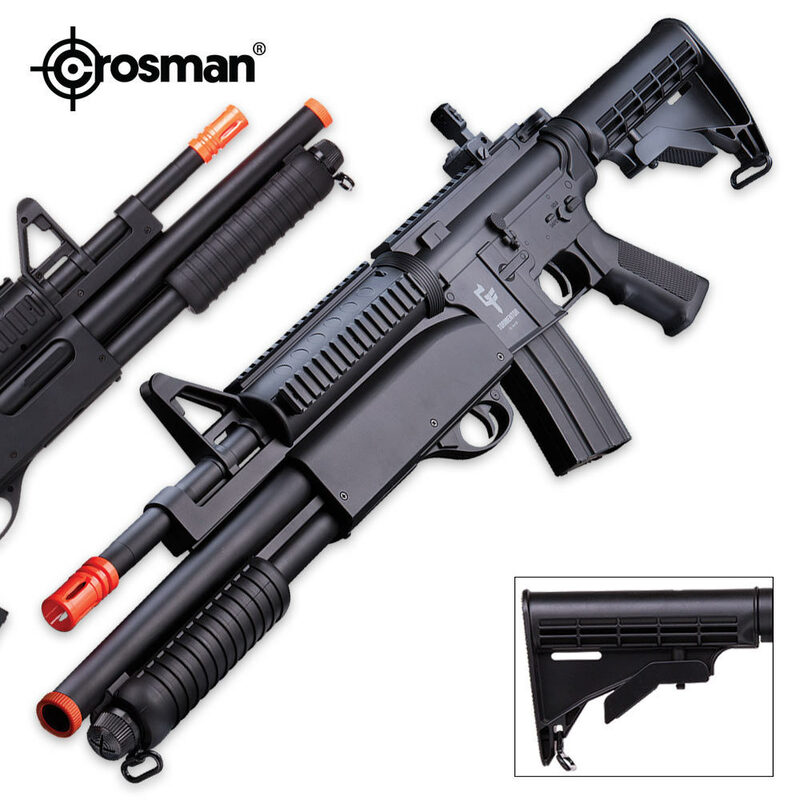 Crosman GFRS Tormentor Rifle Shotgun Combination | BUDK.com - Knives & Swords At The Lowest Prices! 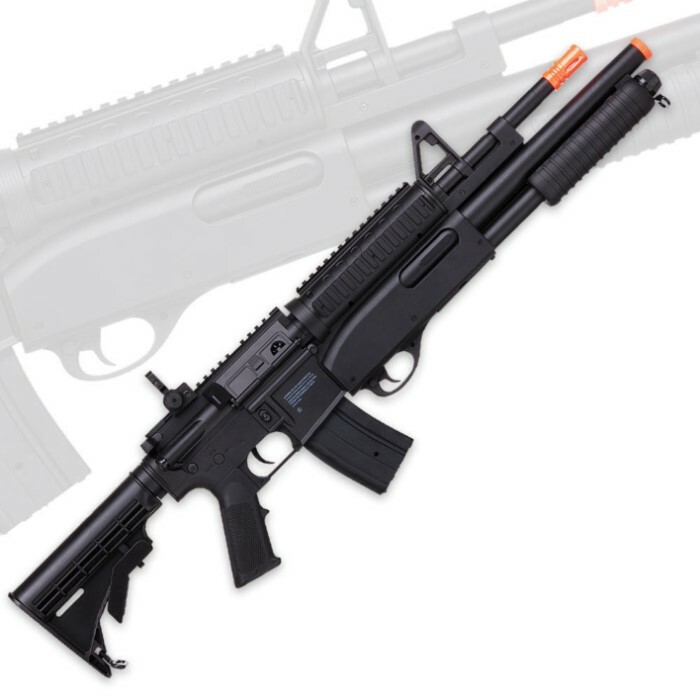 Tormenter will be your middle name when you decimate your target with this Tormentor Airsoft AEG Rifle with Under Barrel Shotgun combination! This airsoft take on a military-style Masterkey will provide hours of airsoft fun at your next target practice. The spring-pump under barrel shotgun delivers 375 feet per second and features an adjustable hop-up system, front sling mount, and 15-round magazine capacity. The electric-powered rifle offers semi and fully automatic capabilities and also features an adjustable hop-up system, flip-up rear sight, adjustable stock, rear sling mount and 220-round magazine capacity. It delivers up to 300 feet per second.